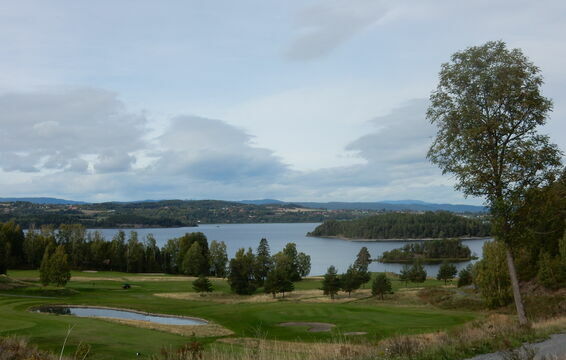 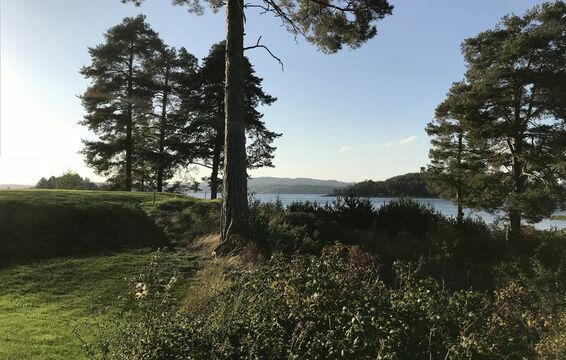 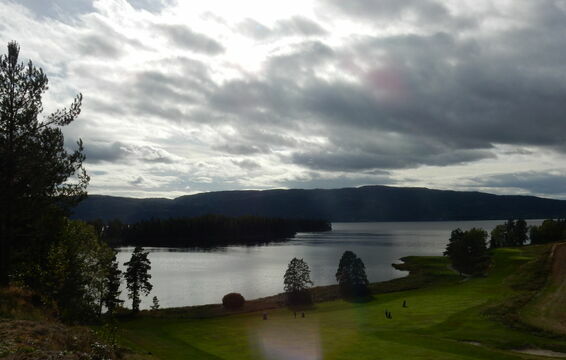 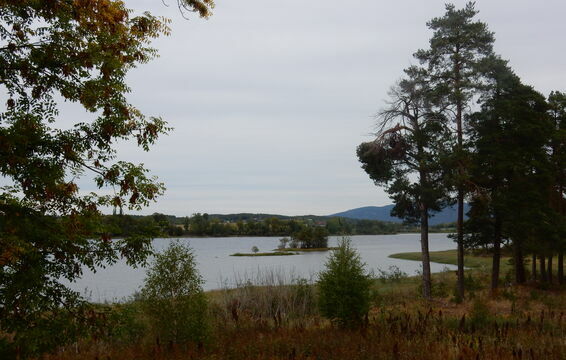 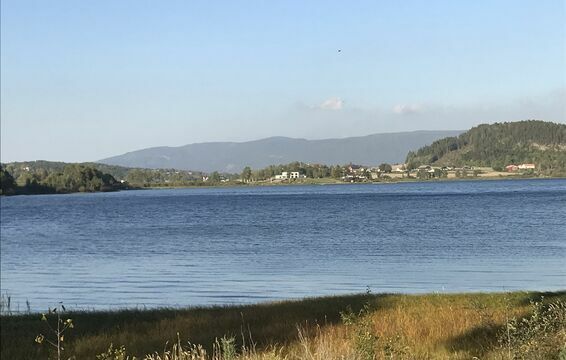 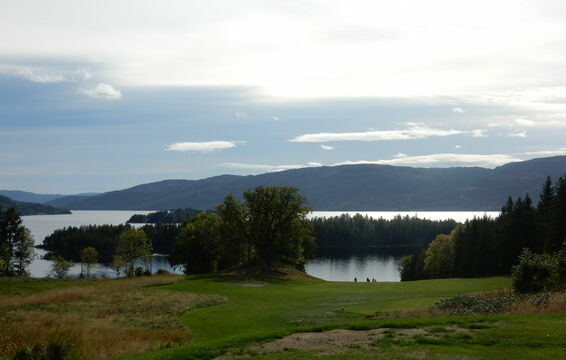 The Tyrifjord course is on an island and the setting is truly beautiful but with a slope rating of 144, it is extremely challenging. 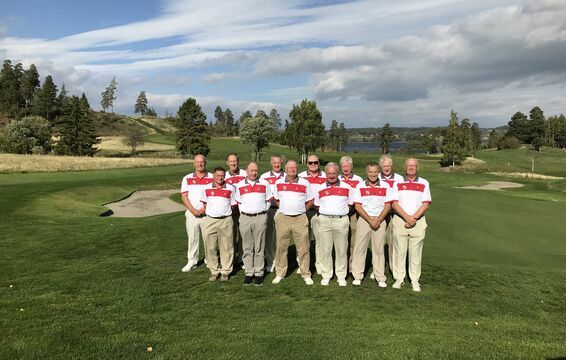 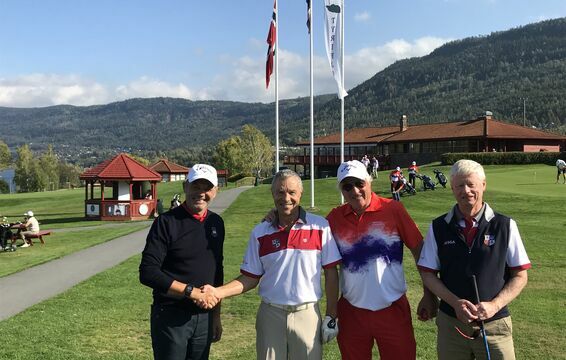 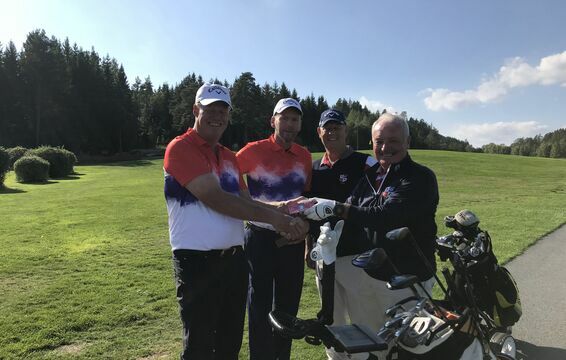 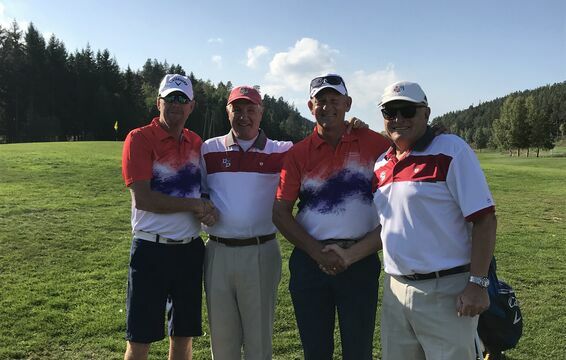 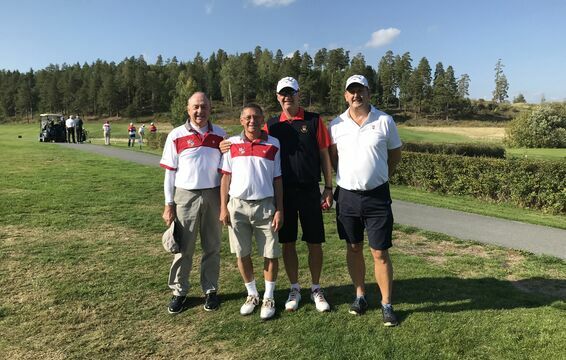 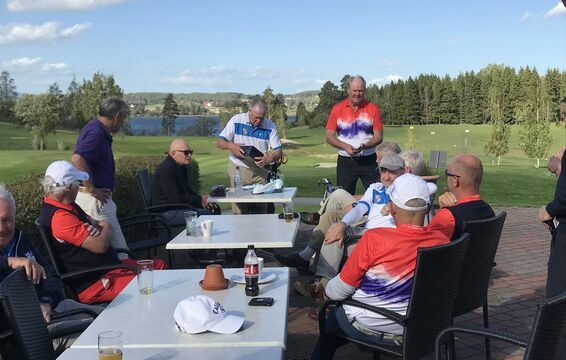 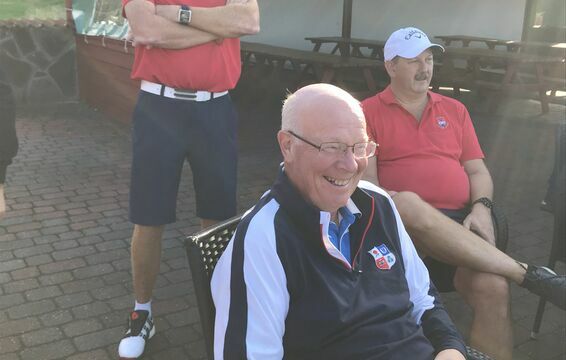 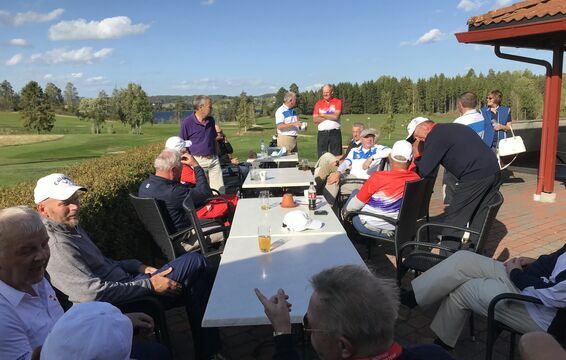 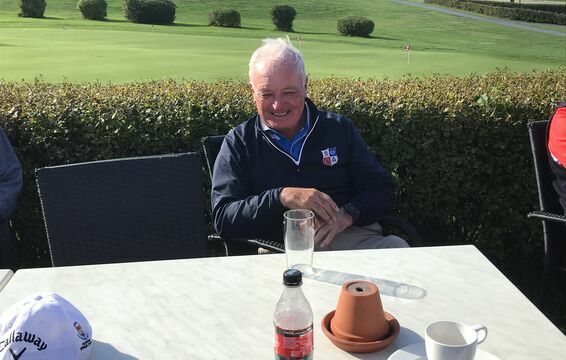 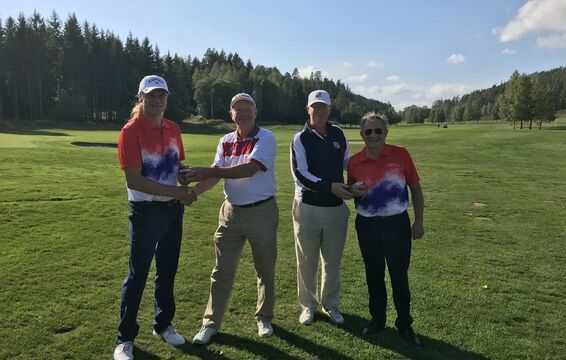 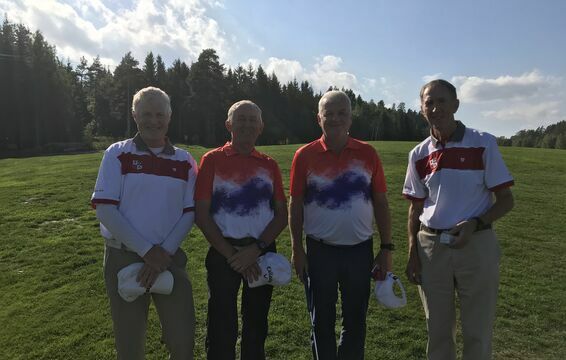 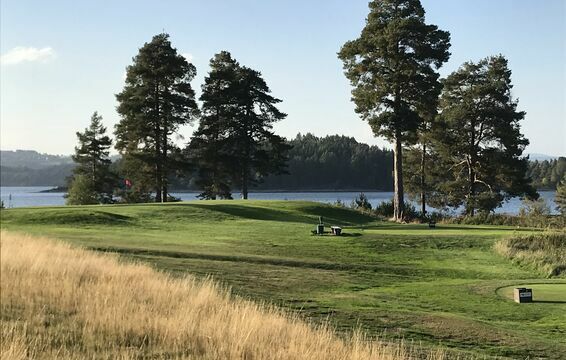 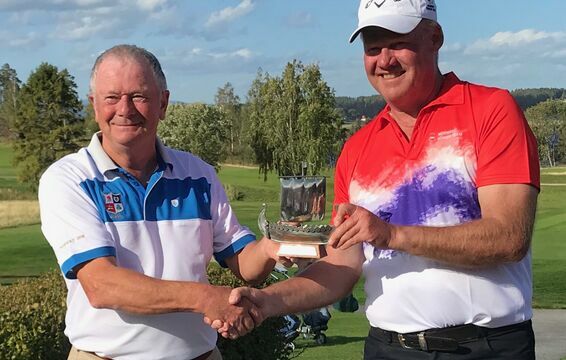 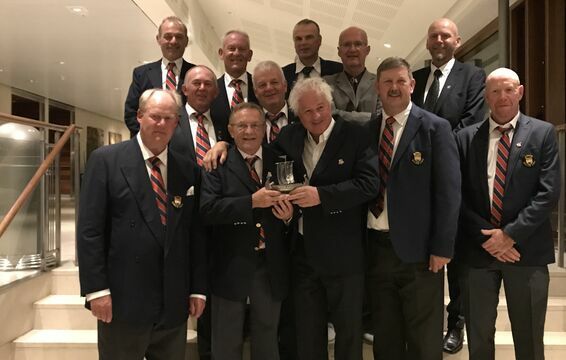 The Norwegian team benefitted from an average 3 stroke adjustment in the handicap events, a number of players only 50 years old and the use of electric trolleys! 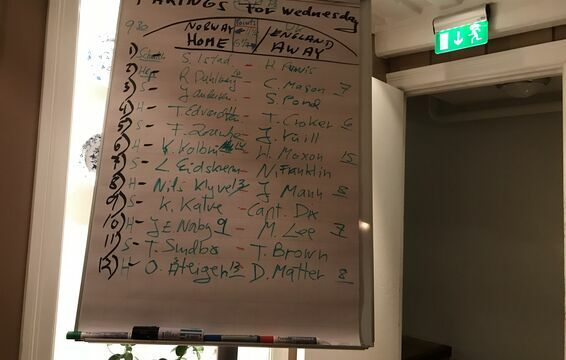 These factors made all the difference. 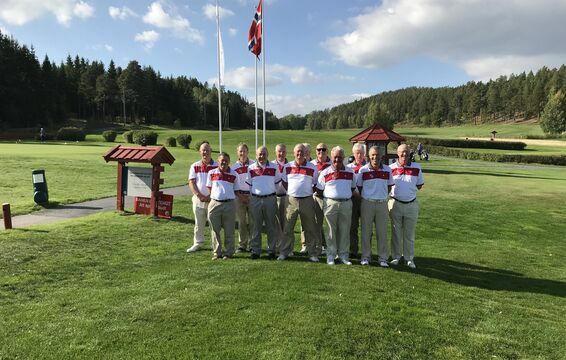 The UKSGA team had been selected from the talented Super Seniors so all were over 65 and Tyrifiord Golfklubb had only pull trolleys for hire. 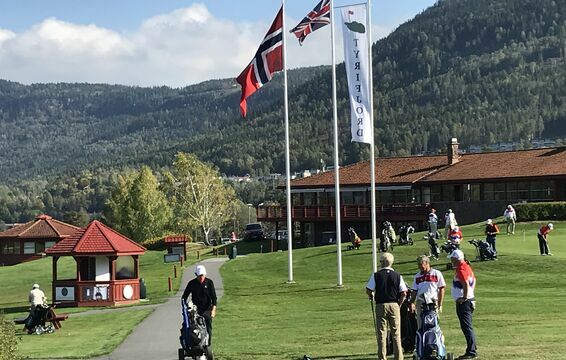 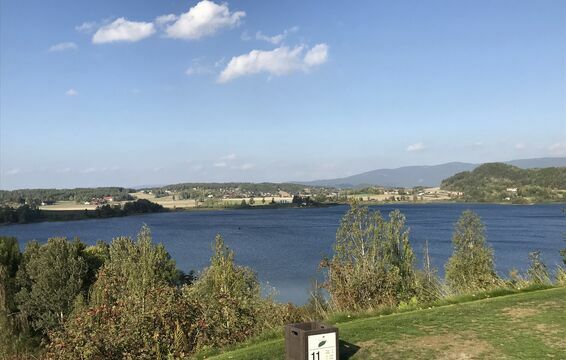 The 4BB on Day 1 ended with UKSGA trailing by 5 points (6.5 - 11.5) and even though on Day 2, the inevitable fightback occurred with UKSGA gaining 19 points to Norway’s 17, it wasn’t enough to overturn the deficit. 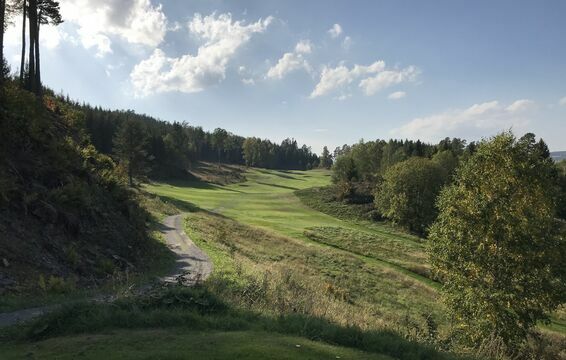 In pure golfing terms, UKSGA still definitely has the edge, but the European slope system adjustment was too difficult to overcome. 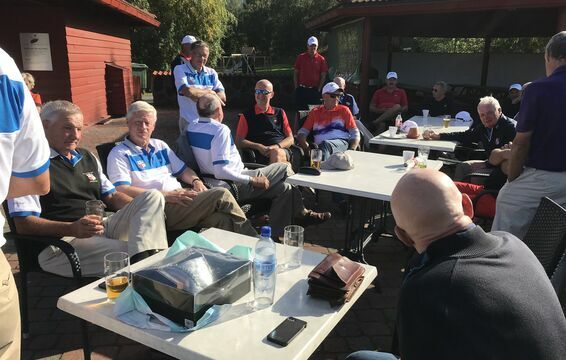 Roll on 2020, when the UK adopts the world handicap system and our handicap players can become properly competitive internationally. 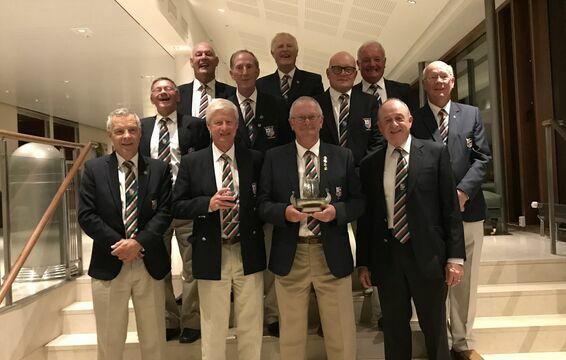 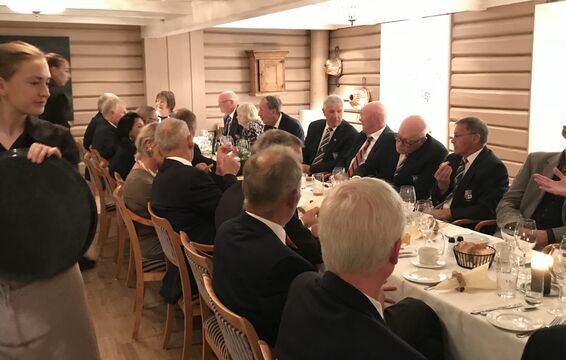 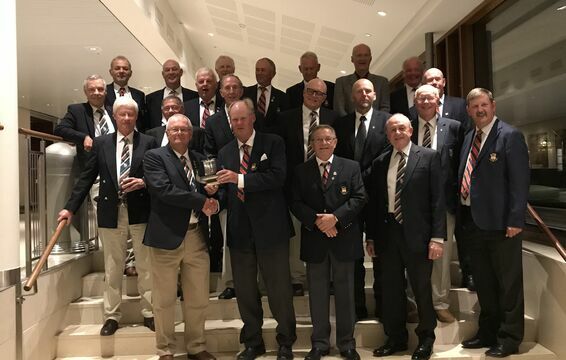 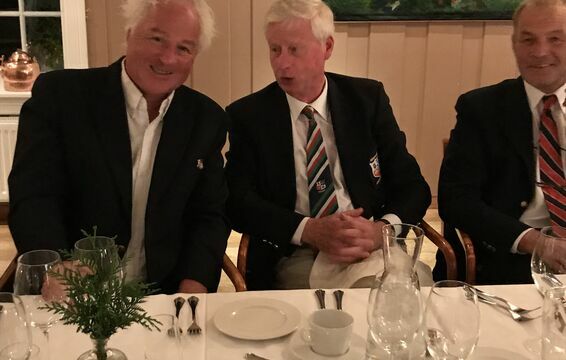 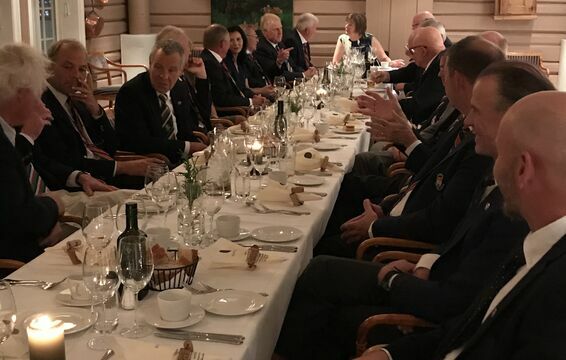 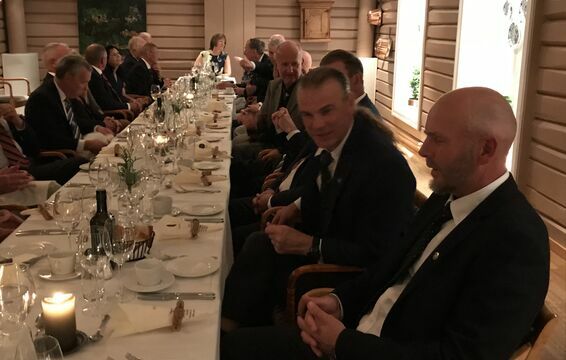 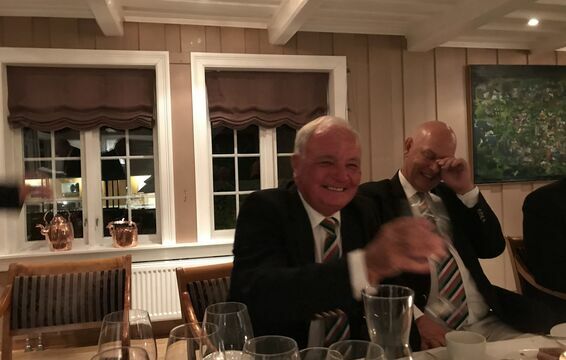 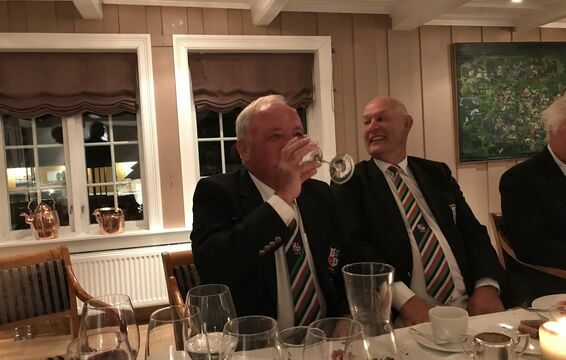 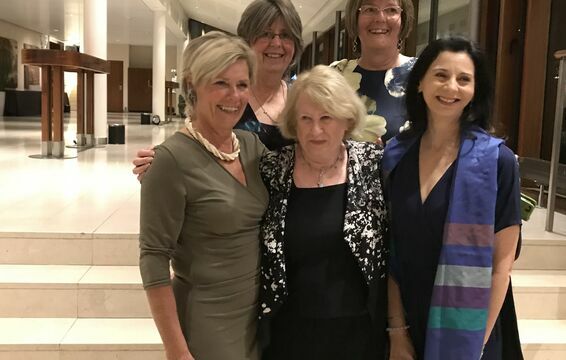 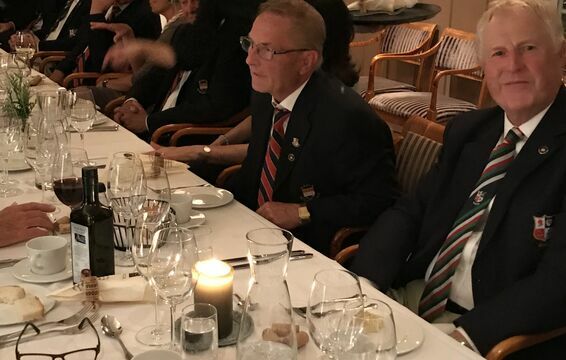 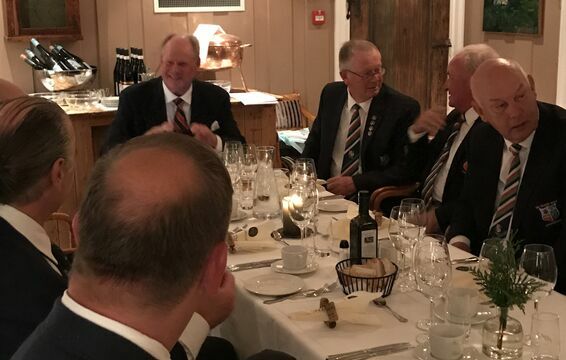 Despite the defeat, all agreed that it was a wonderful few days with an excellent and social dinner being enjoyed on Tuesday evening. 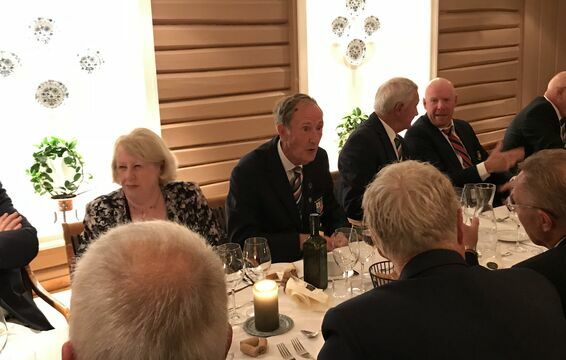 Thanks to all especially the players and the wives that travelled on the trip.